2008 2月 27日: 本店 Dörr 钢琴新录音. 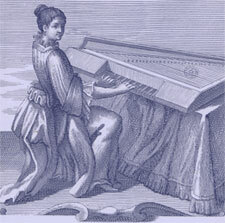 Work in Progress: Fortepiano serial no. 1839 by Conrad Graf, Vienna ca. 1825; Concert grand by Giacomo Sievers, Naples ca. 1860; Fortepiano by Joseph Simon Schüler von Conrad Graf (Student of Conrad Graf), Vienna ca. 1835.